Bissell carpet sweeper, American, c1887. 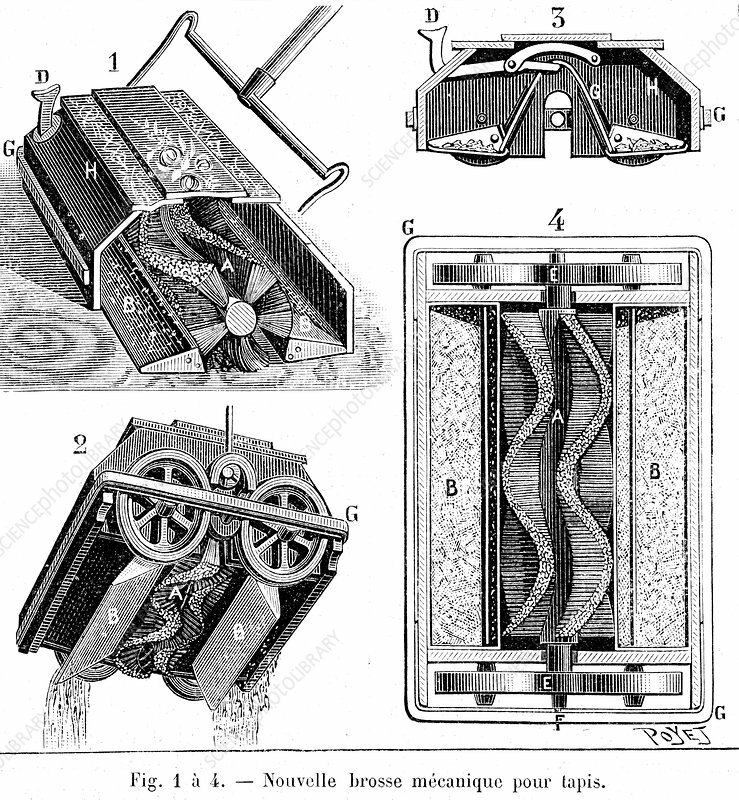 This type of carpet sweeper was invented by Melville and Anna Bissell in 1876. As it is pushed along, the wheels of the carpet sweeper rotate a brush underneath. This dislodges the dirt from the carpet and sweeps it inside. The Bissells went on to build a factory in Grand Rapids, Michigan in the US in 1883. Their sweeper was introduced into Britain in 1887.